How Much Is My Louisiana Personal Injury Case Worth & What Types of Damages Can I Receive? One of the most frequently asked questions our New Orleans personal injury attorneys receive from car accident victims is – “How much is my personal injury case is worth?” As every individual case is different, with a variety of factors taken into consideration to evaluate the value of the suit, it can be challenging to provide a simple answer that covers every unique scenario. Generally speaking, however, we understand which factors are taken into account when determining the value of your case, as well as the types of damages (or compensation) that you may receive from your claim. Trust in the dependable Louisiana personal injury attorneys of Cardone Law Firm to provide you with the most valuable information and stability you deserve to get your life back on track. A woman whose vehicle was sideswiped obtained a judgment and damages award for herself but not her children in a recent case decided by a District Court in Jefferson Parish. That ruling was affirmed by the Louisiana Court of Appeal. Despite testimony from the children and their chiropractor, the appeals court nevertheless determined that the trial court’s decision was not so unreasonable as to require reversal. The crash occurred on Williams Boulevard in Jefferson Parish. A vehicle driven by Joel Hashim moved from the left lane to the center lane of the road and, in the process, struck the vehicle driven by Regina Tezeno, who was already traveling in the center lane. The total damage amounted to one lost headlight and scraped paint. Tezeno sued Hashim and his auto insurer for personal injuries on behalf of herself and her two children. At a trial without a jury, the judge heard evidence and found Hashim 100% at fault. The judge awarded Tezeno $5,535 in damages. The children recovered nothing. Insurance companies sometimes seek out ways to deny a claim even if the person making the claim is entitled to be paid. Sometimes, even when they pay, insurance companies delay an excessively long time in doing so. Such an excessive delay was the basis of an Ascension Parish man’s lawsuit against his auto insurer. The man lost his case, though, after a trial court and the Louisiana Court of Appeal decided that the insurance company’s payment was made in a timely manner, even though the man’s lawyer did not receive the insurance company’s check until three days after the deadline imposed by the Louisiana Statutes. The case arose from a 2010 auto accident involving Beau Schexnaildre and Nathan Spicer. Spicer was at fault, and the two sides eventually settled Schexnaildre’s claim through Spicer’s insurance. After that resolution, Schexnaildre also sought payment from his own insurance company, State Farm Mutual Automobile Insurance Co., under the terms of his underinsured motorist coverage. Thirty-three days after Schexnaildre made his claim, his lawyer received a check from State Farm for $25,000, the limit of the man’s underinsured motorist coverage. Most drivers have, at some point, found themselves in the position of sitting at a stop sign and needing to navigate a cross street with stopped traffic. Sometimes, there’s even a “helpful” driver who waves for you to proceed. A woman in that position lost her case before the Louisiana Court of Appeal recently because she did not exercise the required degree of caution before crossing an intersection. The decision highlights that an anonymous driver’s waving does not diminish the level of care that the law requires of drivers at stop signs. The accident that led to the lawsuit occurred at an intersection of two city streets in Monroe. Betty Blount was driving on North 8th Street and was stuck at the intersection of 8th and Louisville Avenue. As a result of another accident, traffic on Louisville was stopped in the outer lane. After spending several minutes waiting at the intersection, both Blount and her passenger, Joseph Solomon, saw a driver in the outer westbound Louisville lanes wave them through. Blount entered the intersection and was struck by a different driver, Sarah Tugwell, who was in the inner westbound lane. Sometimes it is the auto or motorcycle accident you avoid that still leads to an injury. Two men whose vehicles narrowly missed each other on Highway 431 in Ascension Parish eventually ended up in a fistfight that left one man with a bitten nose and both men in court as a result of the bitten man’s injuries. Since the trial court had enough evidence to conclude that the biter was the aggressor, and not biting in self-defense, the Louisiana Court of Appeal upheld the lower court’s decision to award the bitten man past and future medical expenses. The source of the incident began when Clifford Barr attempted to turn left from Louisiana Highway 431 into the parking lot of an auto service shop. At the same time, Ray Schexnayder was turning from the lot onto the highway in his truck. 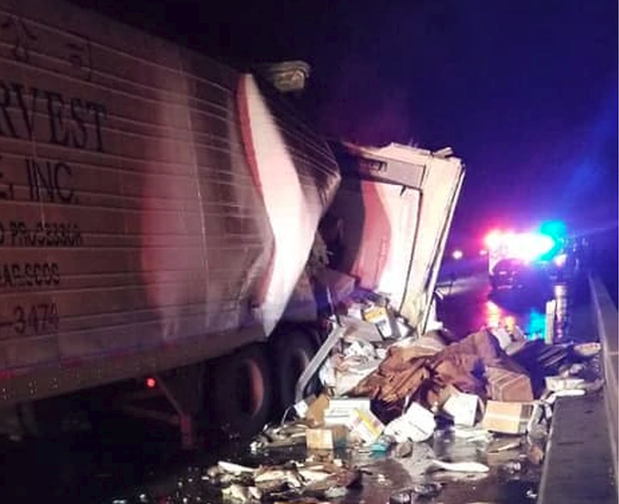 The two trucks narrowly avoided colliding, and both men stopped their vehicles in the roadway, and a verbal quarrel ensued. In a recent Southeastern Louisiana case, the expert testimony of two doctors, along with a driver’s own testimony, was not enough to secure a verdict in the driver’s injury lawsuit against the owner of her trailer park. Since a jury’s finding can only be overturned when it is blatantly erroneous, and evidence existed in the driver’s case that cast doubt on the credibility of the driver’s testimony and that of her doctors, the Louisiana Court of Appeal concluded that the verdict was not reversible. The case centered around Wendy Richardson’s single-car accident in July 2011. 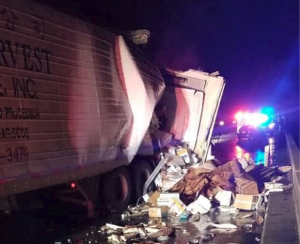 Allegedly, the driver’s vehicle lurched when the right rear tire landed in a hole in the surface of one the entrances to the trailer park where Richardson lived. The driver claimed that the accident caused her to suffer serious neck injuries that required spinal surgery to address.